Brandon Mohlis is an independent musician, artist, songwriter, producer, andeducator, and began studying music at a veryearly age. Aftergraduating in 2005 fromthe Conservatory of Recording Arts and Sciences in Tempe, Arizona, Brandon went on to play lead guitar in St. Madnesswhere he released 3 albums with the bandand won three LA/Phoenix Music Awards, including "Rock Artist of the Year" and "Record of the Year" in 2010, and "Rock Artist of the Year" in 2011. He toured with the bandas well, and outside of having played nearly every venue in Phoenix, has also played at Southern Metal Records Rockfest in Atlanta, and once even played as the house band at Rage In The Cage at Glendale Arena, home of the Phoenix Coyotes. He then headedto L.A., where he wrote, recorded, and produced music for licensing agency Riptide Music, and taught musiclessons independently. 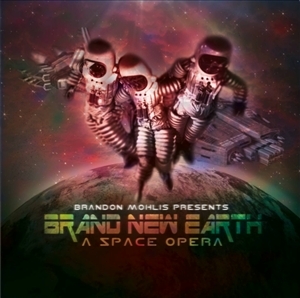 Now residing with his wife in Springfield, MO, Brandonstudies music education at Missouri State University, and continues to write, record, and produce his own music.Brandonis also aresident instructor forthe School of Rock USAs Springfield location, teaching guitar, bass, drums, keys, and vocals, as well as banjo and ukulele. Brandon is also experienced in playing mandolin, cello, dulcimers, harmonica, and studied percussion at Missouri State University. Having achieved Pro Tools and SIA/JBL Smaart certification,Brandon ownshis own small recordingstudio, and before beginning classesat MSU, he released a demo called "Thrashgrass", containing 3 songs that combine elements of heavy metal with bluegrass, and was featured on Phoenixs "Driving With Gass" heavy metal radio show in 2012. Brandon has studied jazz underRonnie Bedford, and has been honored to sharethe stage withFlotsam & Jetsam,Wiley Arnette and Greg Hall (Sacred Reich),Lance LaDuke(River City Brass Band), andJeremy Wilson(Vienna Philharmonic).